Attached are the pictures of my sticker collection. They have been sitting in a large tupperware in my closet for the last 10 years. There's anything from old NS stickers to some cool Moment stickers. 99% are in great quality due to the fact they have been in an air-tight container while some of the sticker's corners have been bent etc. I'm hoping to get all of them off my hands for $100 plus shipping, but if that doesn't pan out I'll start selling them individually. Comment or send a PM if you're interested! I'll make updates to the thread when needed. 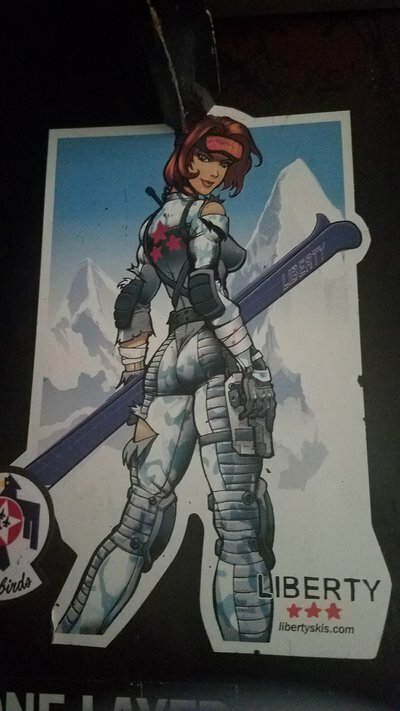 Nice, I got few old stickers from 15yrs ago of Liberty, 4frnt, Line and Chappel-Skiboards (currently Getboards.com) and from snowboard companies. Bump! All prices are negotiable! hmm that doesn't work for me. how about $200? SofaKingSick hmm that doesn't work for me. how about $200? Haha yeah i think I may have been optimistic with my pricing. Just so everyone knows, my sticker values are about 10 years out of date. Back in 2008-2010 you could use a jibberish sticker or even an old NS sticker as hard currency on this site.